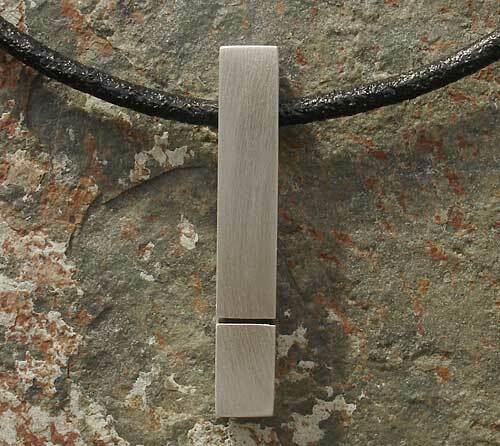 Men's & Women's Sterling Silver Pendant : LOVE2HAVE in the UK! A men's and women's sterling silver pendant. 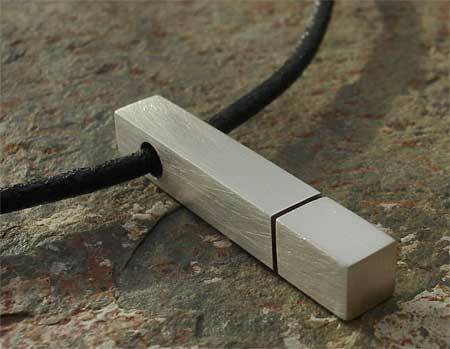 Here we have a very slick understated pendant necklace made from a block of solid sterling silver. Its simple yet stylish looks make this a great all-rounder including office wear. It has a steel finish with some black etched lined detail. The lined detail sits towards the bottom of the silver block a goes all the way around it. It measures 30mm in height, 5mm thick and comes with a 16-inch black leather necklace. Other lengths are also available by request.